Fantasy Du Jour, the sophomore LP from Cold Fronts, is out now via Sire. The band still revs it up, and joyously rips riffs; however, they also take the time to step back, slow down for a second, and get introspective. Those lyrical peeks behind the curtain are tranquil opportunities to refresh and reflect, but the album still remains a very fun ride, with the mellower moments really setting off the full-bore rockers and vice versa. 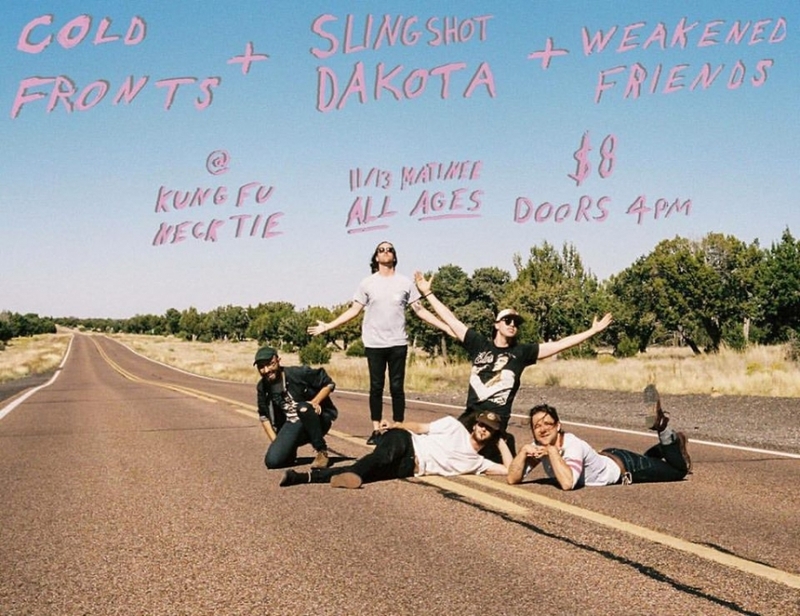 Cold Fronts is getting set to hit the road next month with Hockey Dad, and the tour will be making a stop in Philly on Thursday, June 14 at Everybody Hits. 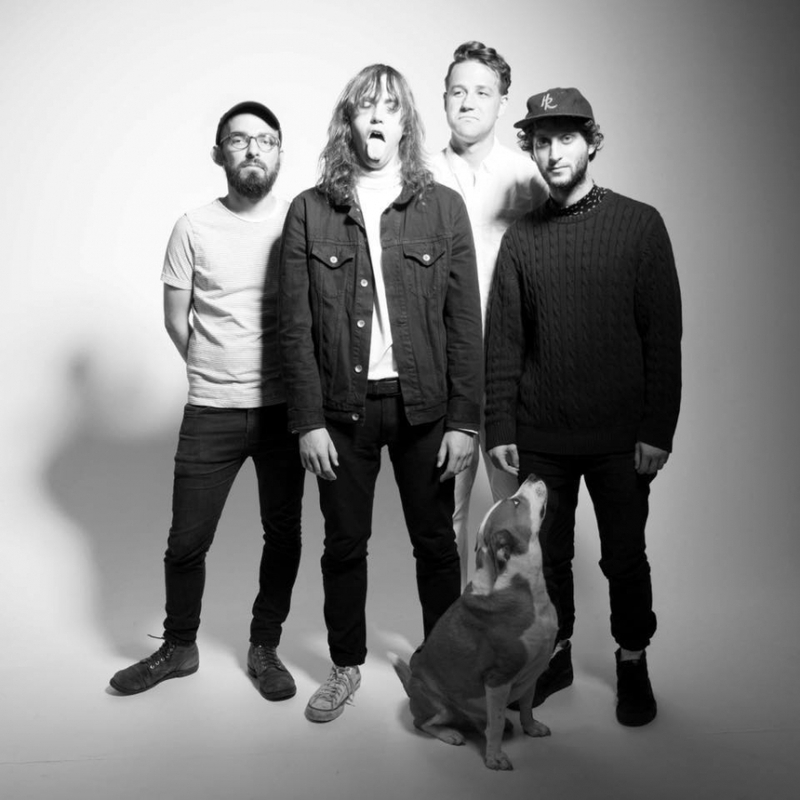 Philly's Cold Fronts has been building moment again as the band gets ready to release its sophomore album, Fantasy du Jour, on the beloved stoner holiday 4/20. Below is the group's latest nugget of slackerdom, called "Staying In," which recently premiered over at Noisey. 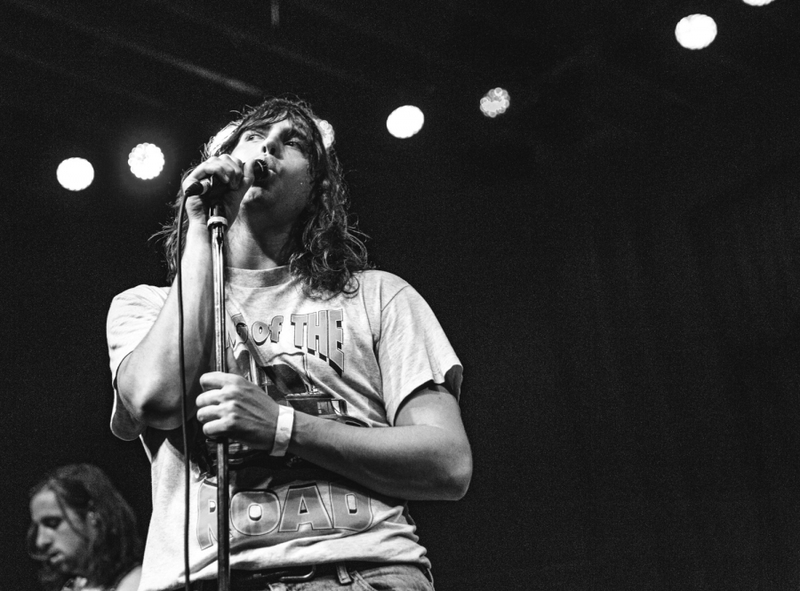 Frontman Craig Almquist shared a bit of insight about Cold Fronts' new single. "I felt so refreshed when I wrote this song because it was so simple and it had nothing to do with being sad or being in love or feeling like the world is gonna end. It was just nice to sing about something else for a change. It’s one of our more knucklehead songs." You can find Almquist and the gang at Boot & Saddle tomorrow night, where they will be opening for Chicago's Post Animal and local pals Suburban Living. 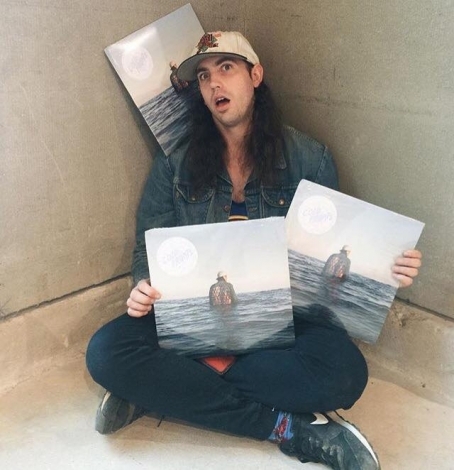 Cold Fronts' Craig Almquist gets involved in some "real life gaming," and once again takes the opportunity to enjoy his hoverboard on camera in the band's new music video for "Primetime". Directed by Josh Goldenberg, the visuals wax and wane to the ebb and flow of the fan favorite, found on Forever Whatever (Sire Records). Cold Front will be kicking off a northeast run on Tuesday, July 26 at Johnny Brenda's with The Kickbacks and Church Girls.